“Michigan: Mexico’s Valued Business Partner,” at a 12 noon luncheon at the University Club, 111 Lyon St. NW in downtown Grand Rapids, an event sponsored by the World Affairs Council of Western Michigan. Reservations for that event are required at www.worldmichigan.org/corporate. At City Hall in the City of Holland, 270 S. River Ave., there will be a 5:15 p.m. reception followed by a 6:00 p.m. presentation on the topic “Mexico-U.S. Relations: A Storied Past and a Hopeful Future,” co-sponsored by the City of Holland and the World Affairs Council. Free and open to the public. Fernando Gonzalez Saiffe, the Consul of Mexico in Detroit, will be interacting with the people and organizations of West Michigan on Thursday, September 6. Mr. Gonzalez Saiffe will be speaking on “Michigan: Mexico’s Valued Business Partner,” at a 12 noon luncheon at the University Club, 111 Lyon St. NW in downtown Grand Rapids, an event sponsored by the World Affairs Council of Western Michigan. Reservations for that event are required at www.worldmichigan.org/corporate. In 2007, trade between Michigan and Mexico surpassed $65.5 billion and Mexico is Michigan's second largest export market. Then, at City Hall in the City of Holland, 270 S. River Ave., there will be a 5:15 p.m. reception followed by a 6:00 p.m. presentation on the topic “Mexico-U.S. Relations: A Storied Past and a Hopeful Future,” co-sponsored by the City of Holland and the World Affairs Council. Those events are free and open to the public. There is much interest in the Mexican political front, as a new president, Andres Manuel Lopez Obrador, a former mayor of Mexico City and three-time presidental candidate, takes office soon. Lopez Abrador formed a new political party which won over the two parties that had governed Mexico for many years in the past. Information about attending the luncheon can be acquired from the World Affairs Council at [email protected] or 616-776-1721. Information about attending the Holland event can be acquired from the City of Holland at [email protected] or 616-335-3122. Mr. Gonzalez Saiffe has been in his diplomatic post since September 15, 2017. 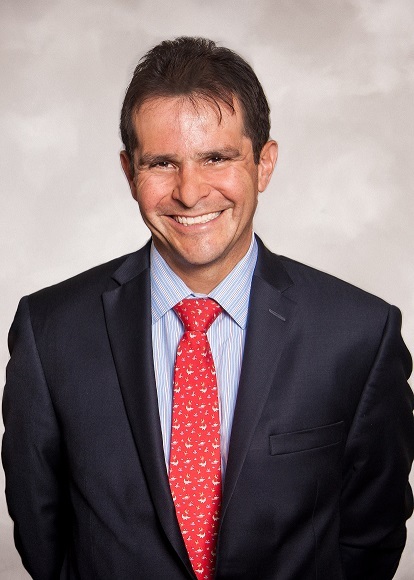 Previously, he has served the Mexican Foreign Ministry in executive positions in Canada (2013-17); Vietnam (2011-13); the United Nations (2009-11 and 2002-03); and as liaison for congressional affairs to the U.S. House of Representatives (2004-08). He holds a bachelor’s degree from Instituto Technologico Autonomo de Mexico and a master’s degree in law and diplomacy from the Fletcher School of Law in Diplomacy at Tufts University. A lecturer on Mexican foreign policy and the United Nations in academic and governmental settings, he has published numerous articles on these subjects. The events are sponsored by Supply Chain Solutions, a global consulting and management company active in many parts of the world, reachable at www.scsolutionsinc.com. Local manufacturing workers react to Austin Bunn's "RUST"
Former manufacturing employees shake off the "RUST"